Get a load of this one. Is this classy or what: How would you like your significant other to take you to a fast food resteraunt? Perhaps some scenery to go along with that tux and dress to enjoy the night with? NOO. 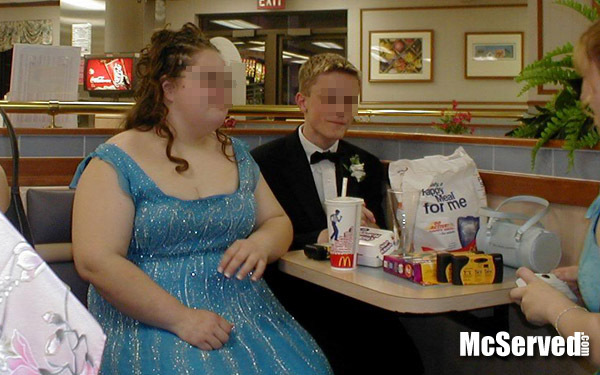 Nothing beats a mcnugget for my date. Inside, Pictures tags: couple, dating, married, prom. 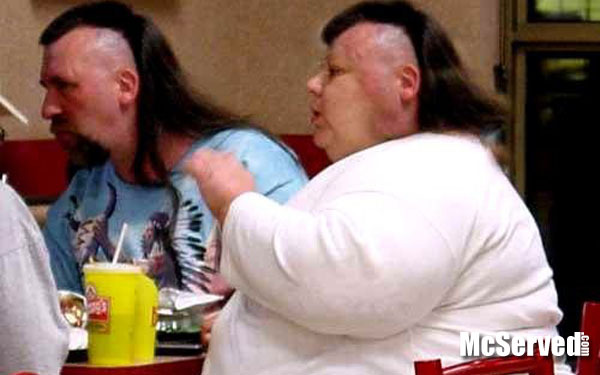 They only came out to unveil their badass awesome new hair styles together. Inside, People, Pictures tags: hair. For your convenience. Baby hanging station. Inside tags: baby, baby hanging, change, diaper. our self service drink stand is for customers who have purchased a soft drink here during their current visit. It is illegal to bring any cup inside the store! 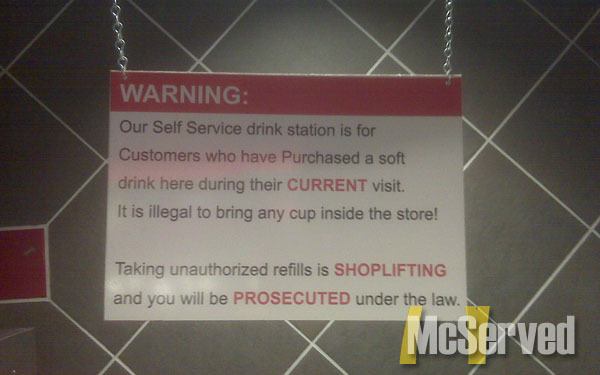 Taking unathorized refills is shoplifting and you will be prosecuted under the law. Inside, Pictures, Signs tags: kentucky, louisville, refill, shoplifting, soft drink.